Can I buy a vowel? Double A, Double E, Waajeed brings us "Tetris" an instrumental puzzle piece from Scion's Beat Machine Project. Scion enlisted Blu Jemz to put together the CD, that is all instrumentals, all the time. Mood-casters, break beats, and gloomy compositions fill up the 14 track collection, with songs from Dorian Concept, Flying Lotus, Dr. Who Dat? and more. 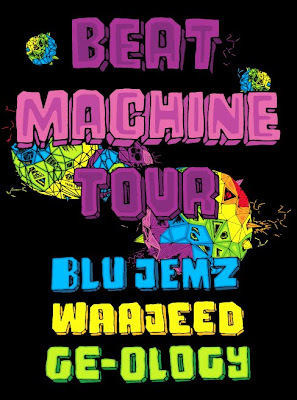 Scion is bringing Blu Jemz and company to a city near you. The tour kicks off in San Francisco, and will hit Chicago this Friday at The Shrine. Get "Tetris" below. Don't give up on this track like I did at first. The second half of the beat is craazy dope.